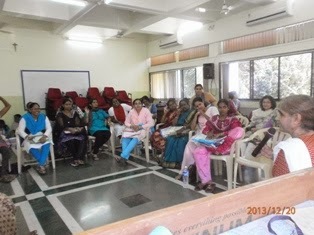 The National Council of BMMA met in Mumbai on 20 and 21 December 2013. Muslim women leaders from Rajasthan, Jharkhand, Maharashtra, Gujrat, Madhya Pradesh, Uttar Pradesh, Karnataka, Tamil Nadu, Bihar, Odisha and West Bengal came for the meeting. 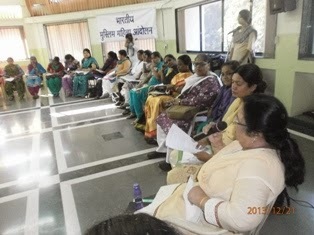 In all 44 women participated in the National Council meeting. 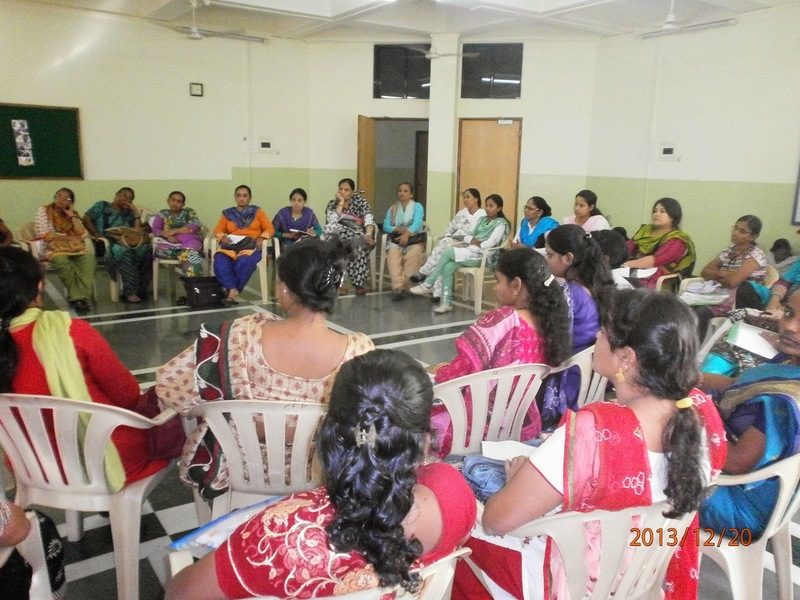 On 20th December Devshala Giri, a gender trainer took a full day session on women’s issues. 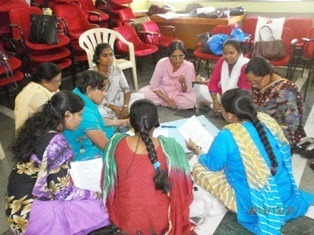 The focus of the training was to look within and analyse our own perspectives as women and our issues. 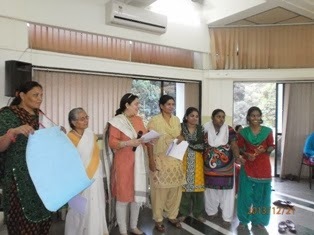 Women sang many songs and learnt as they enjoyed. In the evening the entire National Council including state and district leaders along with founder members sat to discuss issues facing the community. Many important decisions were taken. A detailed review of the work done in 2013 was done and programmes and activities were planned for the next year. State and national reports were shared with all. 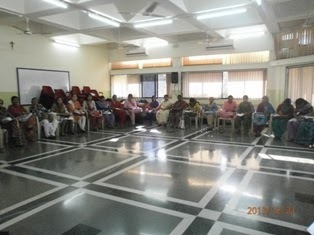 On 21st December, the work of Mahila Shariah Adalat functional in 4 cities was reviewed. Many learnings and challenges were shared. 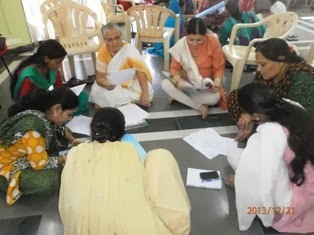 In all the BMMA run MSA received 157 cases [Mumbai=60, Pune=22, Dindigul=39, Gujrat=36]. Muslim women have responded enthusiastically to the Adalat and are coming in large numbers to seek justice. In the afternoon the draft Muslim family law was discussed in details with the participants. 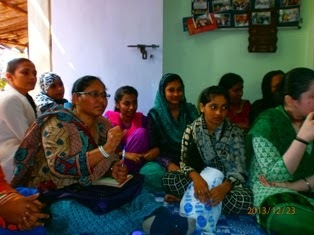 Many suggestions were given by the women. A working committee was formed from within the National Council of BMMA to further work on the provisions of the draft. A cultural programme by Mohammed Khan from the Kabeera Group was performed. 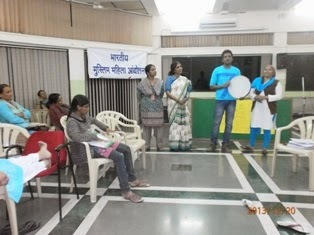 Awareness songs on issues of justice and peace were sung. 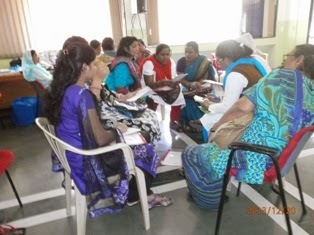 On 23 December, the lawyers-activists from the Mahila Shariat Adalat of Ahmedabad and Dindigul visited the Mahila Shariat Adalat of Mumbai. 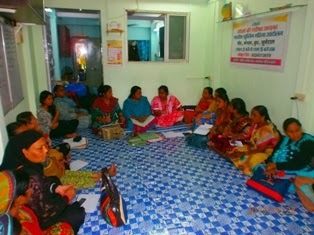 They witnessed the process of counselling and legal aid. They learnt from each other and witnessed the process of legal aid given.